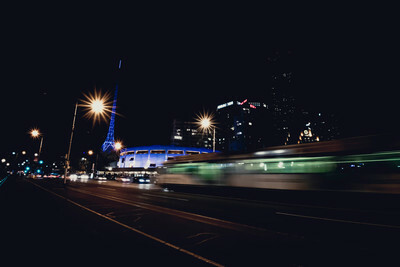 This class takes you on a walking tour around Melbourne, starting from Federation Square, so you can practise your newfound skills on your surroundings. By the end of the class, you’ll have created your own stunning nightscapes. 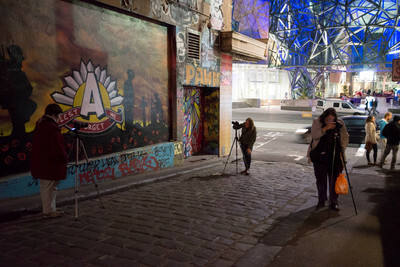 Your experience doesn’t stop once the class ends - you can share your photos with your peers on the Photoh Facebook wall and there's also a Melbourne Photography Facebook Group where members can exchange photography tips, ask questions and receive constructive criticism on photos. Very good. I learned a lot and used settings I had not used before. We visited a number of excellent vantage points with different lighting conditions. Matt was helpful and gave everyone enough individual attention. Matt was funny engaging and so informative. He took time with each person to assist and allowed creative freedom as well as guiding us which was great. The small class size was great everyone was really supportive of each other and wanted to learn as much as the next person. The choice of locations was fantastic and I learnt so much in such a short time. Will definately be booking in for another class in the future. Enjoyed the event and found Matt very helpful with instructions and and advice. Learnt a lot about the different effects of light, shutter speed, etc on subjects. We were lucky as there were only two of us! Really appreciated the experience and learning about the use of various camera settings, as well as the principles around light trails. Great - Matt did a great job and was very patient in explaining what we were doing. I learned a lot about using manual mode and adjusting for different light conditions. The instructor was excellent and explained things very well without too much technical jargon. The locations were varied and appropriate. The size of the group was just right. This was a really informative class. Matt was really great with sharing easy to follow tips I learnt heaps. Loved the walk around our great city as well. Enjoyed it. For someone familiar with the basics and just wanted a little more help with night photography this was great. I liked being given little projects with some settings and figuring out what else worked. Good instruction. Learnt some new things. Good selection of sites to photograph. I thought the subject matter we were taken to were excellent, lots to variety. I think Matt had trouble hearing us but looked after us well. Great, learnt heaps. Matt explained things in away that was very easy to understand. Thanks again!!! Great event. I had done a few courses previously but the night photography course really helped me understand manual settings. Nothing like trying to take photos of fireworks to understand ISO, aperture and shutter speed!!! I booked this for my mum and she won't stop raving about it! She said that Matt was absolutely wonderful, very interesting to chat to and extremely knowledgeable. 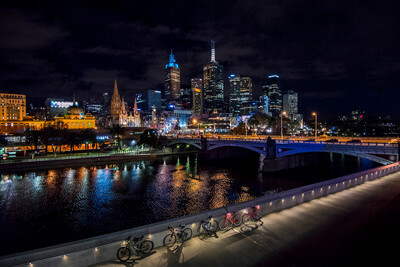 She found the tasks very helpful and adored the setting - walking around Melbourne was a great way to get a feel for the city in addition to being a fantastic place to learn. She's thrilled with her new skills and is so excited to start trying them out. Very informative and good group size. 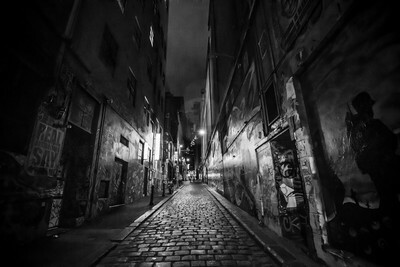 Great to get step by step instructions and help to understand night photography. Immediate feedback is critical. Knowledgeable instructor and allowed us to experiment with our cameras. Communication was good prior to the event ensuring all people knew a meeting location. It was good to get the basic skills for night photography. Matt was keen to ensure everyone had their questions answered. It was unfortunate it was so hot, but we still managed to achieve a lot. Awesome, great to experiment with others. I learnt heaps. Matt's teaching style was supportive and made you build upon what you knew, but he was there for support if needed. The styles of activities varied and made you develop extra skills. His explanations and answers to queries were detailed but not over our heads. The meeting place was perfect for those of us who came by train. It was informative and enjoyable. A fun way to learn about an aspect of photography that can be difficult to master. Great instructor and nice to spend a couple of hours with other people sharing the same interest. Really great class - I learnt a lot. Loved how Matt guided us by just telling us one of three settings we needed, so that we had to learn by trial and error. I learnt a lot of interesting things and understand my camera a lot better as a result! Really enjoyed it, wish I had come along sooner in the year! Great, would recommend it to anyone that wants to learn about photography and long exposures! I thought it was very good. It made me realise I need to read a few cheat sheets or my camera manual a little closer. In general terms it was good, group size was OK and the following day a few of what we had explained started to sink home.